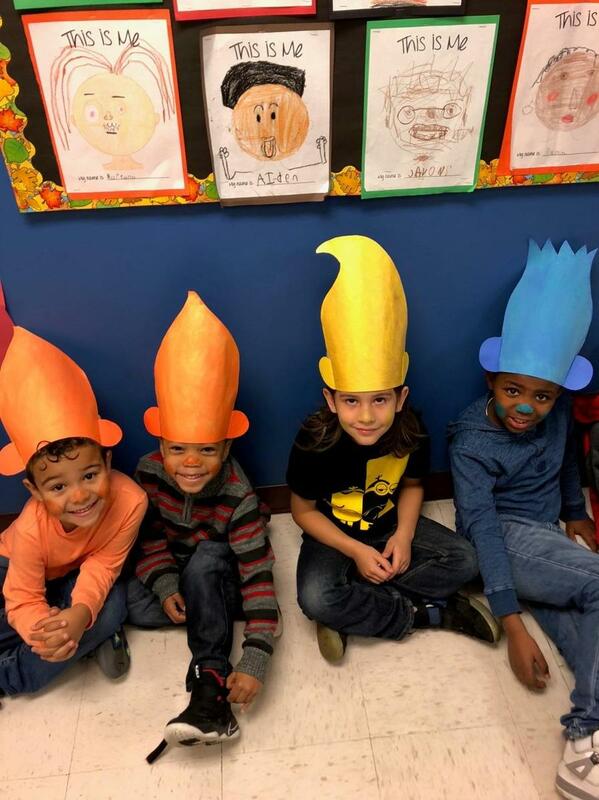 The integration of art, music, and movement energizes the academic curriculum and makes it more relevant to students’ lived experiences, allowing them to make deeper connections with the subjects they study, and thus engage more meaningfully with the learning process. 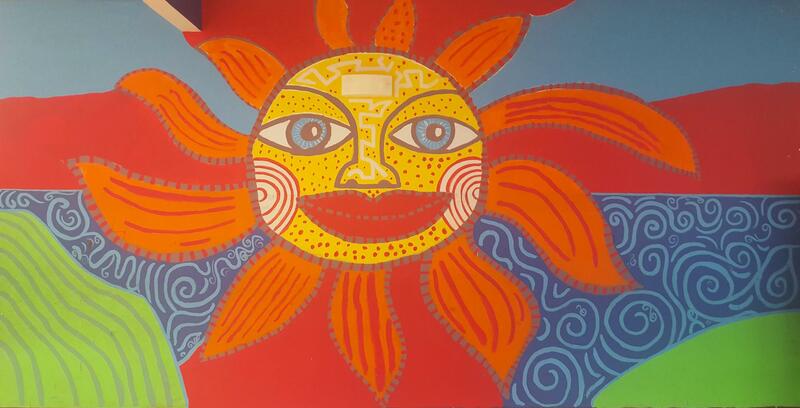 Visual art created by our students is displayed across our campus. These vibrant exhibitions, integrated with the themes in the curriculum, bring academic subjects to life and showcase the depth of student talent at NBFA. 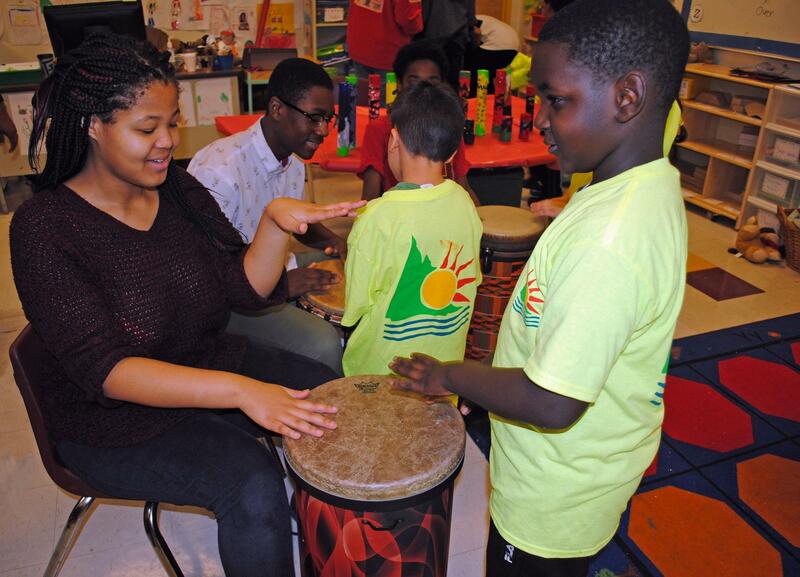 Music at NBFA is interwoven with the curriculum in all grades, reflecting the school's mission to integrate instruction. As a result, music instruction not only fosters an appreciation but also helps students grasp and/or express their understanding of core disciplines. As students progress through their academic career at NBFA, they explore the fundamentals of producing sound, rhythm, and beats. Pre-K to 6th-grade students receive weekly in-class instruction, and music electives in band, orchestra, or chorus are open to students in grades 4-8. NBFA visual arts program celebrates individuality, imagination, and each child's artistic potential. Art instruction includes drawing, painting, sculpting, printmaking, etc. Through an integrated lens, art instruction complements, reinforces, and/or expresses the big ideas and themes of the core and unified arts disciplines. As a result, the art teacher collaborates with and works alongside the teachers in planning projects, field trips, performances and guest appearances.